A great way to make sure your company has a handle on its progress is with an Industry Report. You can display all the information you need such as networking, funding, monthly sales, and a pie chart that can break it down visually. 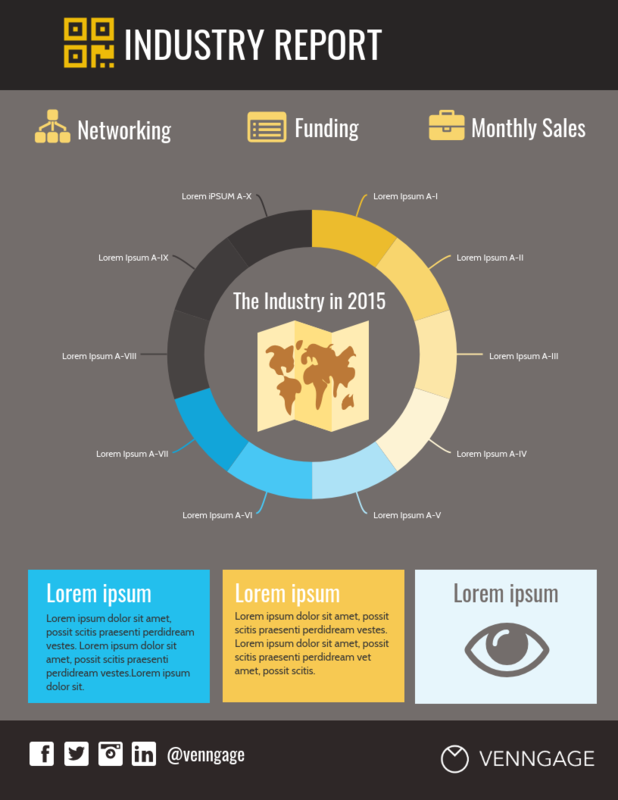 The Industry Report template can be centered on any business and it can be customized to display the right information. Customize the Industry Report by editing the text, background design, font, color scheme and icons. The Industry Report template also lets you add tables, maps, and images or you can upload photos. There’s no limit to what you can do with the Industry Report when you need a thorough report for your company!